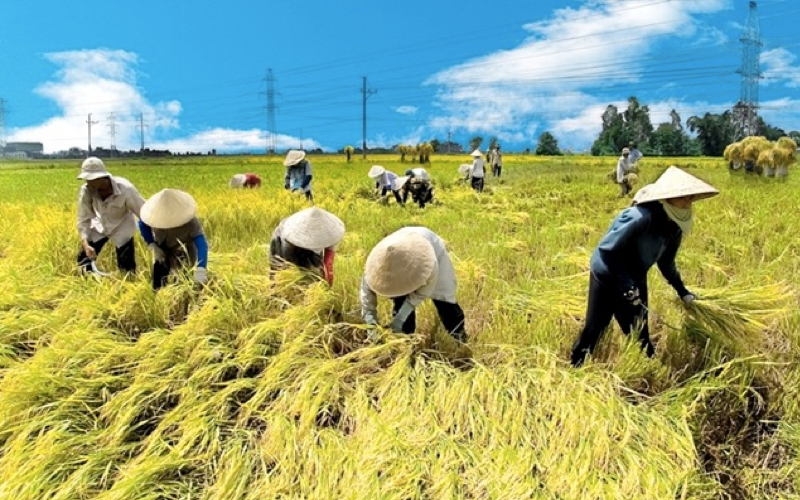 Like every custom of Vietnam, Non la has its own origin, coming from a legend related to the history of rice growing in Vietnam. The story is about a giant woman from the sky who has protected humankind from a deluge of rain. She wore a hat made of four round shaped leaves to guard against all the rain. 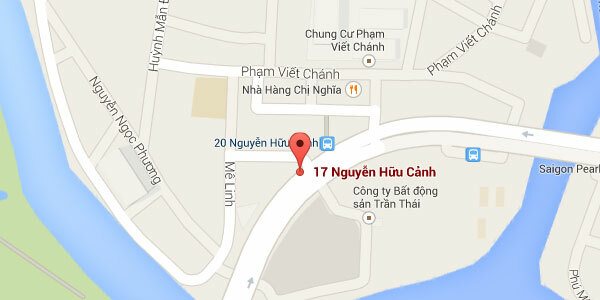 After the Goddess was gone, Vietnamese built a temple to commemorate her as the Rain-shielding Goddess. 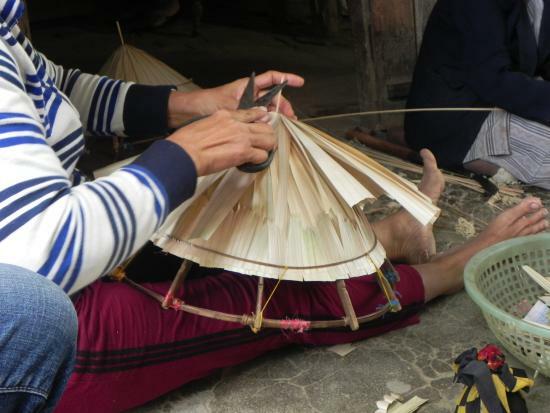 Vietnamese tried to make a hat modelling after the Goddess’ by stitching together palm leaves, which is now known as Non la. 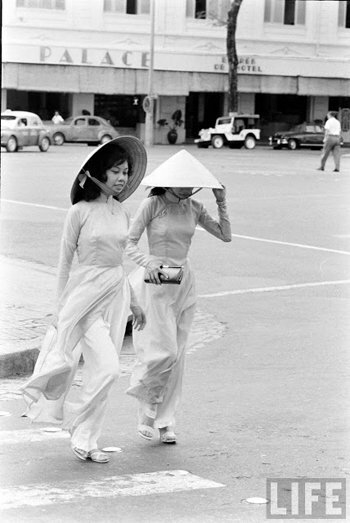 Non la was strongly associated with peasants live from the paddy field to both men and women. Vietnam climate is tropical which means there are 2 seasons: dry and rain seasons. 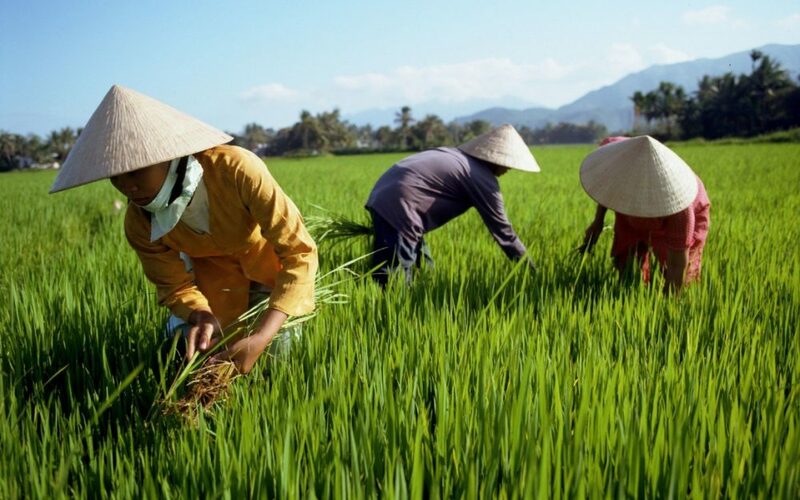 Every Vietnamese farmer uses Non la in their daily lives because it not only protects them from the sun but also from the rain. As a fact, Vietnamese people use Non la to collect rainwater in a rainy day and a handy-fan in a sunny day. If you look at the hat, it seems quite easy to make. Yet, it is not! 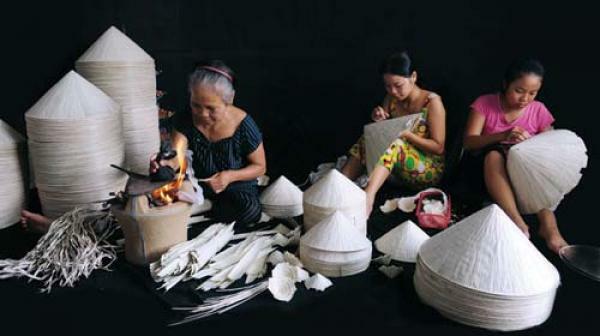 “Conical hat making requires painstaking precision”, said 83 year-old Le Thi Viet, the oldest master of Chuong village where thousands of conical hats are produced every day. 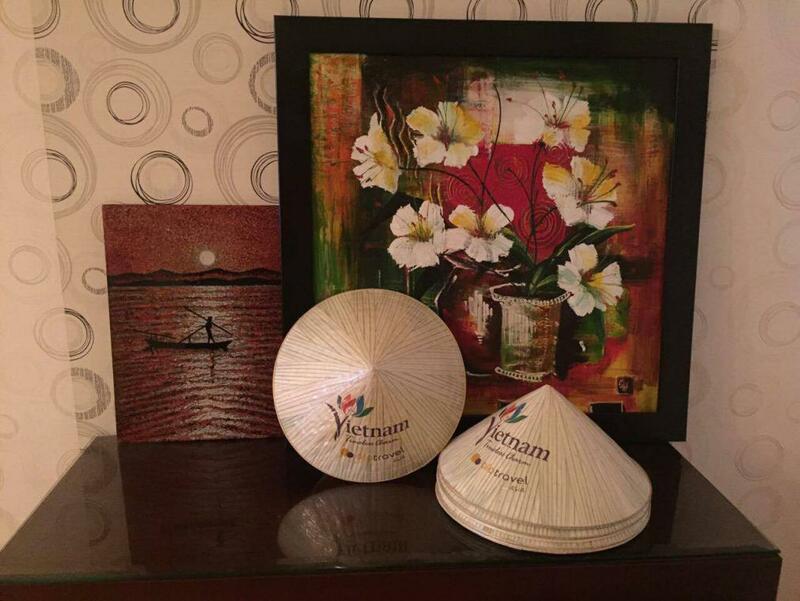 It is therefore considered the home of the conical hat in Vietnam now. To make a proper hat, not only the maker has to be talent but also their experiences are plentiful. After being separated into very thin strings during the dry season, bamboo cataphyll then must be quickly submerged in water to preclude tearing and breaking. The palm, after being cleaned by sand, will be torn and turned from dark green to white after being sun-seasoned. The stronger the sun is, the whiter the palms will become. Finally, to make them whiter and preserve well the color, they will be exposed to sulfur, separated and ironed. Sewing and decorating must be sophisticated, too. You have to sew small and even stitches, which means you need time and patience. 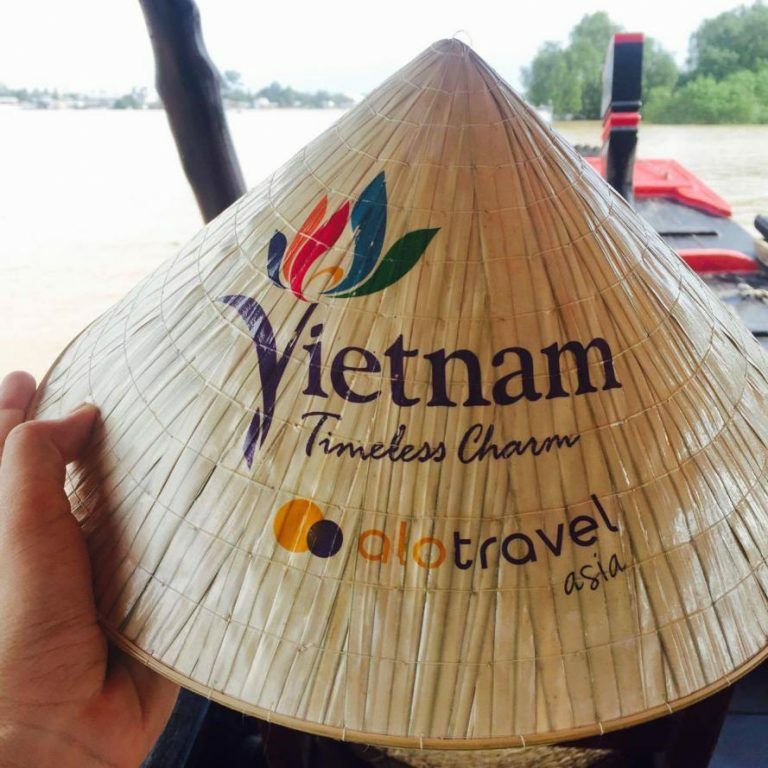 Now, Non la is not only a daily necessity items for Vietnamese people, but also a meaning gift for the traveler – who want to take home a special souvenirs from Vietnam. 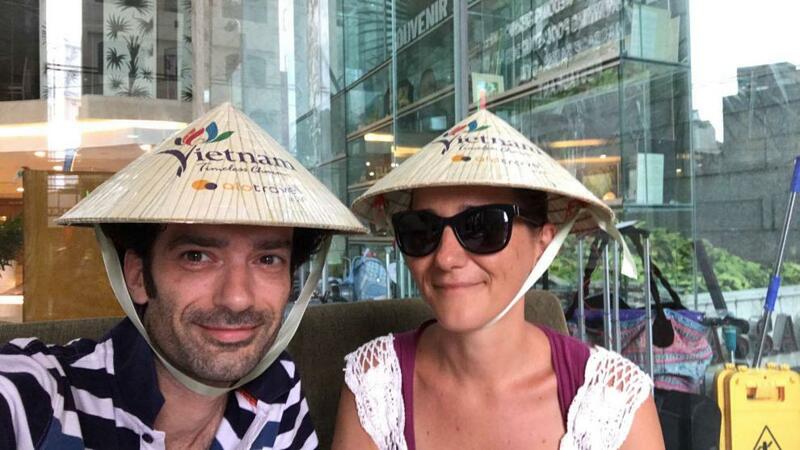 Taking home a “Non la” – that is, to take a piece of Vietnam. Do not forget to bring back home a Non la as the gift when coming back from Vietnam! Woooow, stunning places! It looks so exciting to be there and to live the experience. I wish I could visit this places some day… soon! Thanks a lot for sharing your pics with us! It’s inspiring.